Captain Yaba - Yaba Funk Roots (2003) | Free eBooks Download - EBOOKEE! Posted on 2018-08-10, by voska89. Originally released in 2003. Captain Yaba was the professional name of Azongo Nyaaba, who was born and raised in the dry grasslands of the far north of Ghana. He was four or five years old when he started playing the koliko (also known as the molo), an ancestor of the banjo. Mac Tontoh of the internationally famous band Osibisa brought Nyaaba to the Ghanaian capital, Accra, and there he began performing with various groups and as a soloist under the name Captain Yaba. In 1994 he recorded his second album of traditional Fra Fra songs, this one with a modern funk band called Ninkribi, and that raised sufficient interest abroad for Captain Yaba & Ninkribi to tour Europe. After returning to Ghana, Captain Yaba continued to perform on his own and in groups, but in 2001 he died of tuberculosis at barely past the age of 30. Two years later RetroAfric reissued the Captain Yaba-Ninkribi album, duplicating five of the tracks in their rough and even funkier mixes. 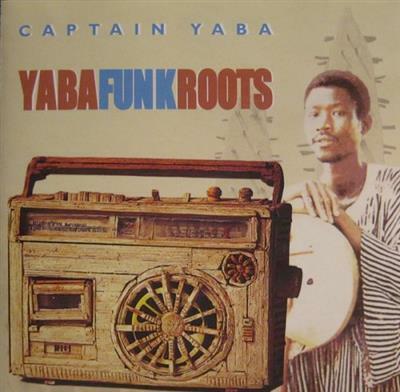 No comments for "Captain Yaba - Yaba Funk Roots (2003)".